Author’s note: The Interfaith Coalition of Nashville organized this year’s interfaith conference in the Vanderbilt University, Nashville, USA. Judaism was represented by Dr. Donna Whitney, Christianity by Dr. Tom Davis, Hinduism by Dr. Howard J. Resnick (HD Goswami), and Buddhism by Professor Win Myint. I represented Islam. The conference was opened by Dr. Jawaid Ahsan. Dr. Charles Hembrick, Professor Emeritus of Religion at Vanderbilt University, moderated the conference. 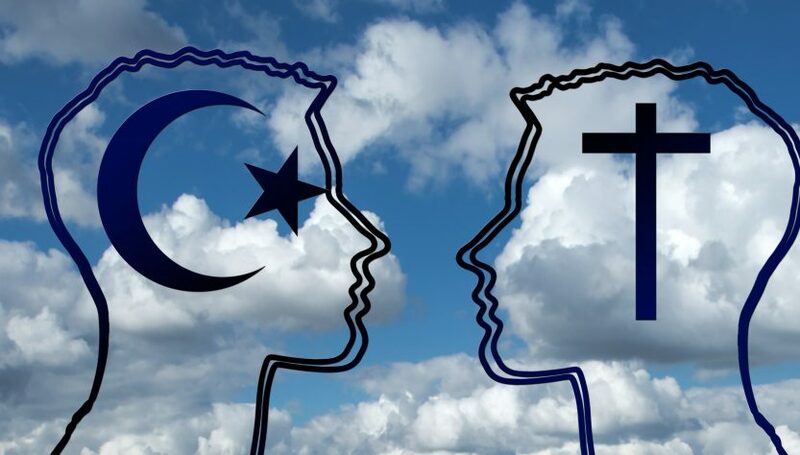 It is not easy to discuss about a religion that is not only the least understood of all major religions but is now considered to be on a collision course with the rest of the world. The offensive cartoon controversy has only heightened the mistrust and seemed to embolden those who have been selling the poisonous pill of “clash of civilizations”. There is no denying that 9/11 has provided bigots, racists, and self-proclaiming “experts” and “think tanks” to define Islam in ways that only unmask their level of hatred and bigotry. The “Islam” they define is simply unknown to my people. Yet the hard fact is there are Muslims who come in different shades and colors, orientations or mindsets. Not all are saints nor are all mujahids in being able to control their lower instincts of anger, passion and ego. So we have the Zarqawis today as much as we had the Hashishyyin that had terrorized the Muslim world in the 12th and 13th centuries. And then there are those who believe that their suicidal attacks would set others free. As the specter of violence has become a fact of life today, the temptation is too great to condemn an entire religious tradition for the senseless or desperate actions of a few. But that would be wrong. If we cannot condemn all faiths for the crimes of their adherents, we simply cannot have a different set of standards for Muslims. For example, if we cannot condemn Christianity for colonization and massacre of unarmed civilians across the globe during the last two millennia, including the massacre in Jonestown (Guyana) and Waco (USA), killings in Ireland, Uganda, Haiti and Liberia, ethnic cleansing in Bosnia, Kosovo, Chechnya, Daghestan, Nagorno Karabach and Mindanao Islands (in the Philippines), and genocides in Congo, Rwanda, and in today?s Afghanistan and Iraq; if we cannot condemn Judaism for the crimes of Baruch Goldstein or Rabbi Meir Kahane?s group, or the war crimes of Israeli leaders ? Sharon, Olmert, Netanyahu and others – in Occupied Palestine and Lebanon; if we cannot condemn Hinduism for the murder of MK Gandhi, and massacre of thousands of Muslims in Kashmir, Mumbai, Assam and Gujarat, and the killings of Sinhalese Buddhists in Sri Lanka; if we cannot condemn Buddhism for the killing fields in Cambodia, or the massacre of Rohingya Muslims in Arakan (Myanmar), or the killings of Tamils in Sri Lanka and Muslim minorities in Thailand ? we simply have no right to condemn Islam for 9/11. If a Muslim youth today appears to be frustrated and angry it is not because of the theology of Islam but due to his apparent inability as a human being to comprehend and/or tolerate monumental hypocrisy and double standards that he sees, plus the mistreatment of his fellow brethren as third-class citizens of this planet. From one continent to another, he sees how his fellow human beings are massacred, maimed and mutilated; how colossal abuses of human rights are routinely carried out against them. And yet there are none, not even their own leaders in the post-colonial nation-states, who speak and take action for them. It is a sad and humiliating experience for them. The entire history of mankind has been a class struggle between the forces of light and darkness, good and bad, truth and falsehood. The forces of goodness have struggled to bring about an ideal society that is just and balanced both inwardly and outwardly. Unfortunately, more often than not humanity has failed to find that equilibrium, balance and harmony between the outward and the inward, the external and the internal. The ideal that Islam has been seeking for the past fourteen centuries is also a universal one – the establishment of a just society. Truly, in this pursuit, the mission of Muhammad (S), the Prophet of Islam, was very similar to those of all the prophets and sages that came before him. Islam came as a guiding light into a dark world ? a world that needed a lightning bolt to wake up from its deep slumber. It came in an age of truth-defying Ignorance when the worship of one True God from China and Japan in the East to Morocco and Iceland in the West was replaced by worship of myriads of demigods. There were false notions of superiority and egotism on the basis of race, color, tribe and ethnicity. Islam came to a nation that boasted of its depth of corruption and debauchery in social and moral issues. Historically, Islam came after the fall of the Roman Empire and the collapse of the ?dark ages.? In the nearby Persian Empire, there was a lot of political bickering for power and in far-away Roman Empire, there were signs of decadence everywhere, and in Arabia, the land that was supposed to reshape the destiny of mankind, its people were devoid of compassion and moral values. But it was in Arabia, at the confluence of the three great continents of Asia, Africa and Europe, that Muhammad (S) – the Prophet of Islam, a Meccan from the illustrious family of the Quraysh, a descendant of the Babylonian Abraham, and the Egyptian Hagar – was born in 570 CE (or 53 BH of the Muslim calendar). And here it was that the Qur’an was revealed to Muhammad (S) in Arabic when he was 40 years old (in 13 BH). Coming into a world that was stained by corruption and disintegration, Islam provided a unique pattern that was unknown in the entire history of man?kind. Islam provided three basic elements — faith in one God (Allah), reform of self and reform of the society at large. Islam remained as a religious commitment, a socio-economic-political program, but above all a vehicle for the “continuous reform” of the society. The subject I want to discuss here is: what does Islam say about peaceful co-existence with peoples of other faiths? Does Islam believe in diversity, multi-culture and pluralism? The answer to all these questions is an emphatic yes. In what follows, I shall quote from the Qur’an to support my claim. All these verses make it clear that there is no room for coercion or compulsion in matters of faith. It is because of such lofty notions of diversity and tolerance that the Islamic civilization was pluralistic and unusually tolerant of various social and religious denominations, something that was simply unthinkable elsewhere in the middle ages. Jewish historians testify to the fact that, had it not been for the protection and tutelage provided by Muslim rulers, Jews could not have survived in the Middle Ages. It was all too natural for European Jewry to find refuge among Muslims in North Africa and the Ottoman Empire when Christian Europe was resorting to inquisition, pogroms and holocaust to exterminate them. Muslim rulers never interfered with the religion of their subjects either. There was never anything like the inquisition or the fires of Smithfield. Thus a number of small Christian sects, regarded as heretical by the larger sects, which would inevitably have been exterminated if left to the mercies of the larger sects whose power prevailed in Christendom, were protected and preserved by the power of Islam. Even to this very day, there are groups like the Mountain Jews, Yazidis and Sabaeans (Sabians) that are surviving with their culture and religion intact. Today we stand on the carcass of religion. Many religious leaders have become the vultures who devour our corpse. They breed hatred and intolerance. And then there are the secular fundamentalists who would only have it their way. Naturally, there is a debate today what is worse: a secular fundamentalist or a religious fanatic? In my opinion, both are bad. As much as the former needs to respect religious sensibility of others, the latter needs to inculcate God-consciousness that helps him to tolerate other human beings for “if your Lord willed, all on the earth would have believed, in total; will you then compel them to believe?”25 It was that easy for Him. I wish I could say that situation has improved in this age of information super-highways. Alas, it has not! My hope is that inter-faith programs like this would help peace-loving people of this planet to come together to fight and oppose bigotry and intolerance in whatever shade they come. Dr. Habib Siddiqui delivered this speech at the Vanderbilt University, Nashville, TN on March 11, 2006. Apparently it had attracted the attention of a rabid Christian missionary who offered a response to it. The rebuttal to that Christian response is here.